A holiday was due this summer (April 2015) and Ramesh suggested ‘Sikkim’. After the usual arguments ‘Sikkim’ was settled. Sid had turned ten, and it was time for him to discover yet another marvel of India, the Himalayas. (Not sure what he had in mind, but we thought so anyways ;)). Sikkim is around 3000 km far from the coastal region we live, standing at considerable altitude (from 920ft to around 28000ft, phew!) and has a totally different climate conditions from Mangalore. Aren’t they Himalayas! The plan was for one week long hiking in the mountains and another week to relax, exploring the habitation. 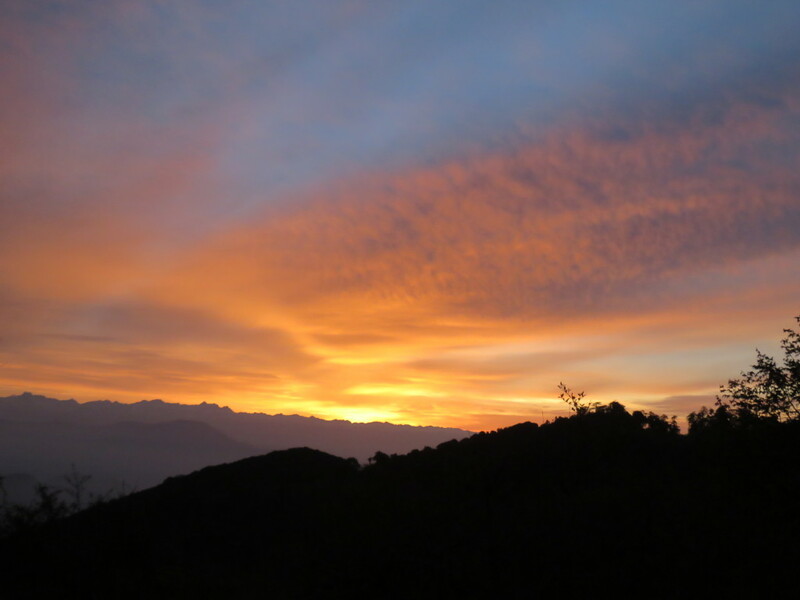 This was our first visit to Sikkim, which calls for lots of digging and planning to do. Thankfully a friend came to our rescue. Piran from Kipepeo (The name has a beautiful story) helped us to plan the holiday. Through him we joined a group from Bangalore for the hike. 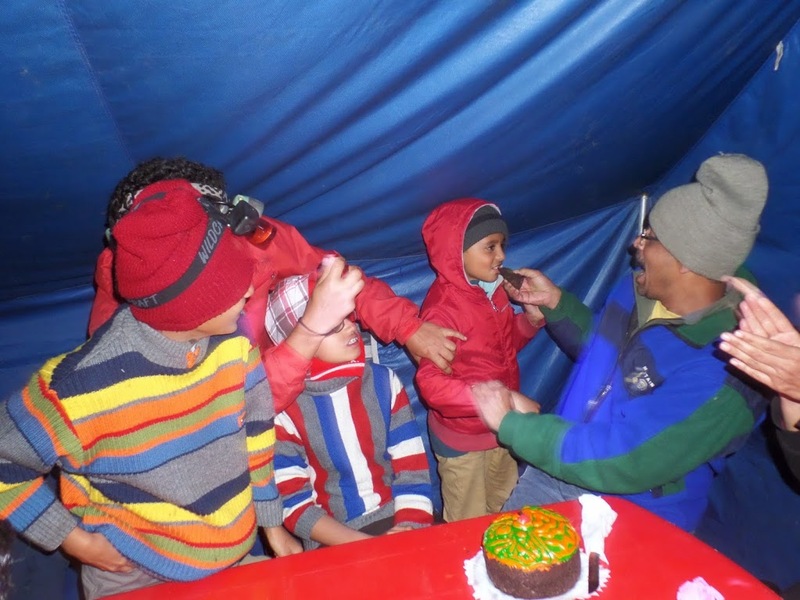 Madhu from Woody Adventures Inc was the Boss for the parent-children troop. With the plan in place, tickets booked we were half set for the trip. Hike required some gears which called for shopping. The fun part of the trip starts from here- preparations, shopping and packing. All set we started from Mangalore. Day one started pretty early, we took the flight from Bangalore and met Madhu and gang in Delhi for the first time. Along with him were nine children (in the age group of 9 to 15 years), Asha and Chandrika. Sid was excited. Now fourteen, we reached Bagdogra (412 ft) by flight. Mallik from Kipepeo was waiting to take us to Sombarey. It was a long drive. We passed the plains and soon ‘Mountains’ started to appear. They were huge and all I could manage was to gape at them and tried to guess the flora and fauna (with little luck). 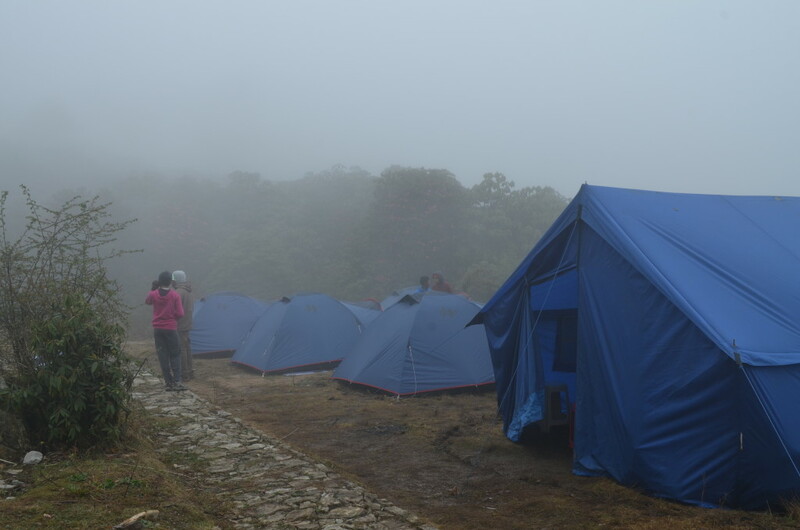 The weather slowly turned chilly with a light drizzle – welcome to Sikkim. We reached the forest guesthouse late, hungry and exhausted. NB, our guide for the trek was ready for us with the hot, delicious dinner. Good food fueled our spirits and with next day’s briefings we retired for the night. Day two started with a good breakfast and ‘milk tea’ (Madhu’s favorite). 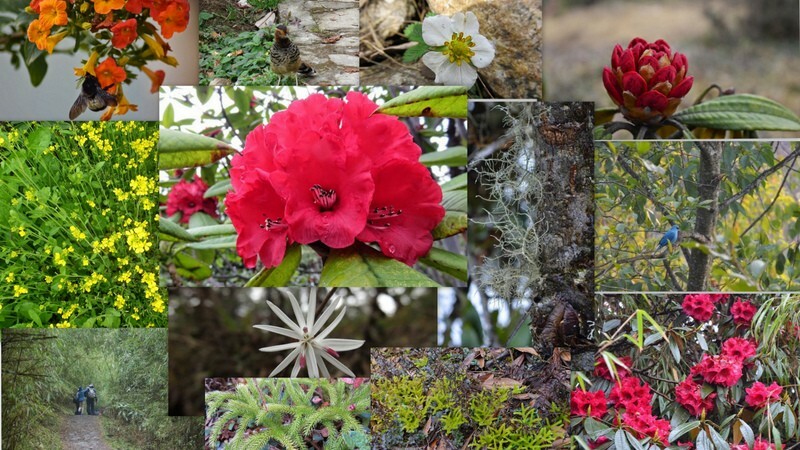 On reaching Hilley – the starting point by vehicle, we entered ‘Barsey Rhododendron sanctuary’ and started the hike, yippee!! Few minutes into the sanctuary, it was riot of colors. There were so many shades of greens, red-pink rhododendrons, green-brown ferns, white-yellow flowers, different kinds of bamboo, various types of algae and fungi. Group walked taking in all these gaily. I realized we no longer heard vehicle sounds (phones were switched off! ) but only bird calls and children squealing. The group was blending with each other and getting in tune with the thick lush forest. By afternoon we reached the campsite- Barsey (10,000 ft) and got busy pitching tents while NB and troop were getting on with lunch. 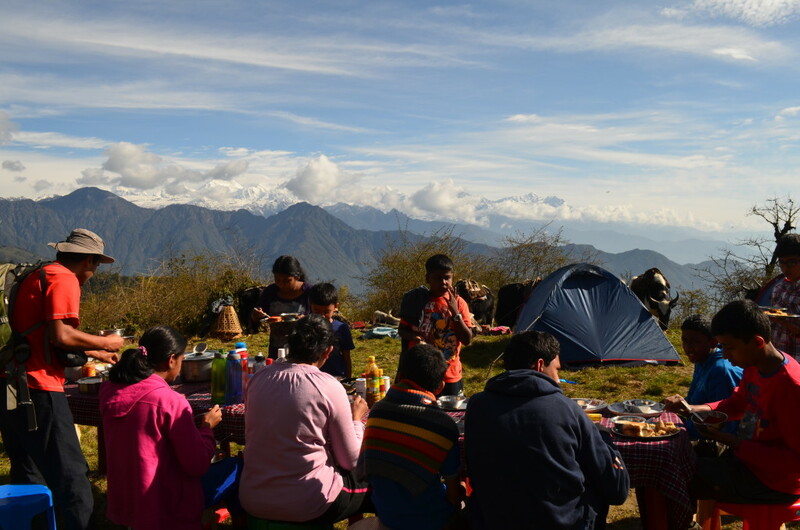 Campsite was amidst mountain ranges with a beautiful view. 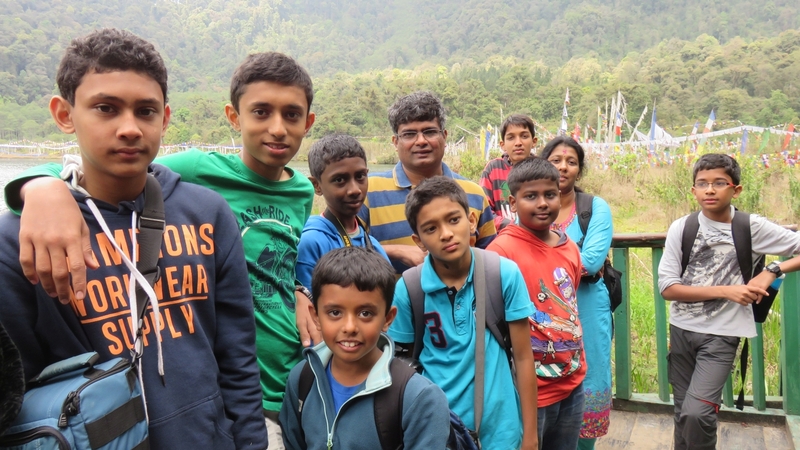 Madhu and Mallik were real easy around children. We three got comfortable with the group and knew everyone by name now and started to enjoy the company. In the afternoon, we played ‘dog and the bone’ and had lots of fun running around. Night started to set in and we headed to mess tent (Can you believe this, mess tent in Jungle). Mallik introduced ‘Mafia’ to the group and he played ‘God’. Night was star gazing time. It started to rain in the night. Day three was gloomy, with rain pouring all night. There was no sign of it stopping in the morning. Weather was not promising, so we decided to wait and take a call later in the day. By late morning we ventured out of the tents with rain gear on. Days plan to move got cancelled and we went hiking near the campsite. Day was cold with intermittent rain and we moved on to get our stiff muscles working. It was totally beautiful, it seemed like we were walking among the clouds (I was on cloud nine or ten ;)). We met a Nepali group making a movie. Children collected bamboo, they made bows out of them and got engrossed trying them and zeroing in at the target (they all quite enjoyed and did well). 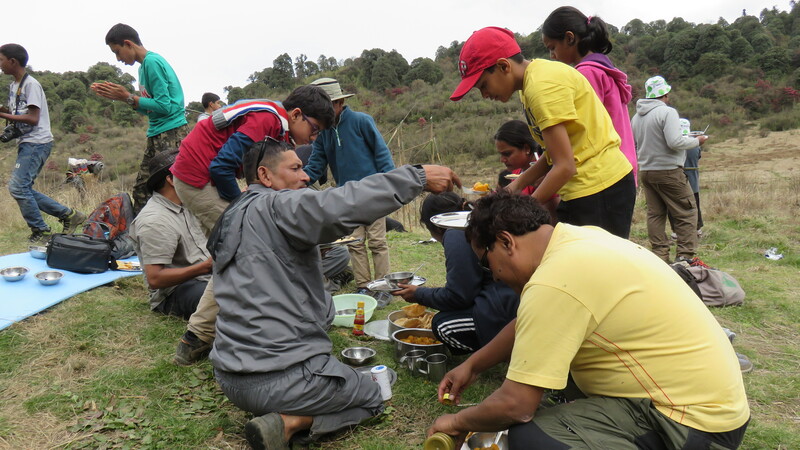 It was important to keep warm and have lots of fluids and water to cope with the altitude. As the daylight faded we started with Mafia followed by a round of relations. The day’s musings were put down in the form of words and pictures (Madhu’s idea). Day four, NB woke us up at 5:00 AM in the morning. Groaning, I peeked out of the tent to a spectacular view of the snow covered peaks. I jumped out of the tent and Oh what a view it was! 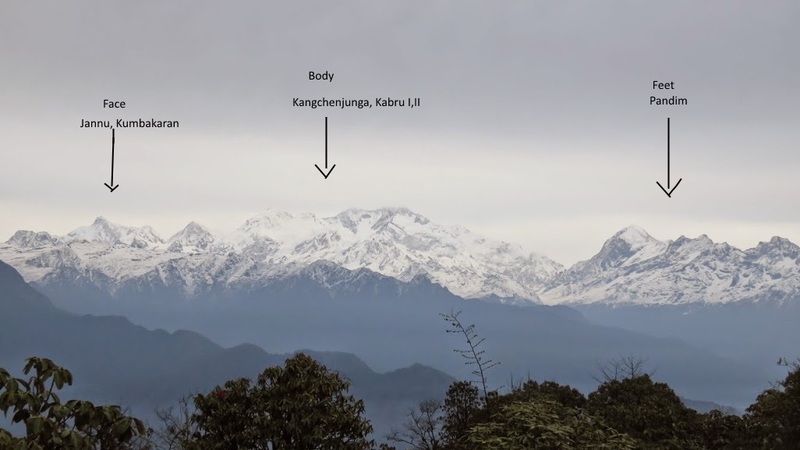 The mighty ‘Khangchendzonga’. Sun shining upon the peaks made it perfect, just the view to behold. Mallik pointed the sleeping Buddha view and no wonder nature is called ‘God’ (make me wonder if God Himself is this beautiful!!). After the OH’s and Wow’s the trek started, 14 km today, Phew! Pant pant! The route was mesmerizing with Rhododendrons. It looked like a bouquet. As NB pointed out they had a very romantic look. My hero was around but hardly any romance in the air ;). 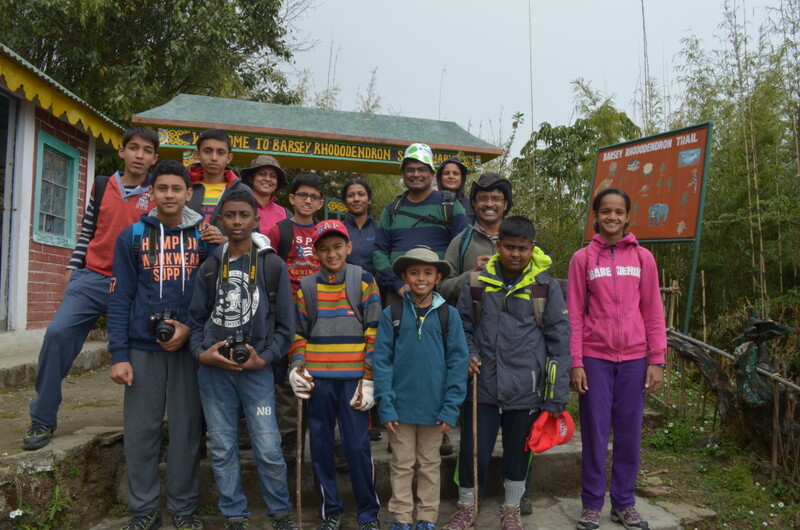 Troop reached Joreybotey (10000ft)-campsite by late afternoon exhausted. Well it was only elders, ’cause kids started playing like say after five minutes 🙂 and Ashwin wanted to scale the highest peak immediately (No way! Please not now). We had new guests, Yaks! Dinner and stargazing was on the menu-yum. Retired early and had a good sleep. Day five, all were up early to get the glimpse of the peaks. Sky was clear so it was time for photo session. We spotted sunbirds, bulbuls, and minivets. We just relaxed in the morning sun, chatting and craving for ‘Milk Tea’. Tea had become a necessity. Hike was to Thulo Dhap (9500ft). We passed bamboos and rhododendrons, spotted white Magnolias, together they looked like white and red patterns embedded on a green blanket. Singalila pass (border between Sikkim and Nepal) was seen on the way. The campsite was large plain grassland with a narrow stream running. Adults got busy lazing and talking old times while children were getting restless. Madhu set them off to build a multilevel dam using the stones in the stream and they got busy. They were so well into the task, making me smile and envy them at the same time. 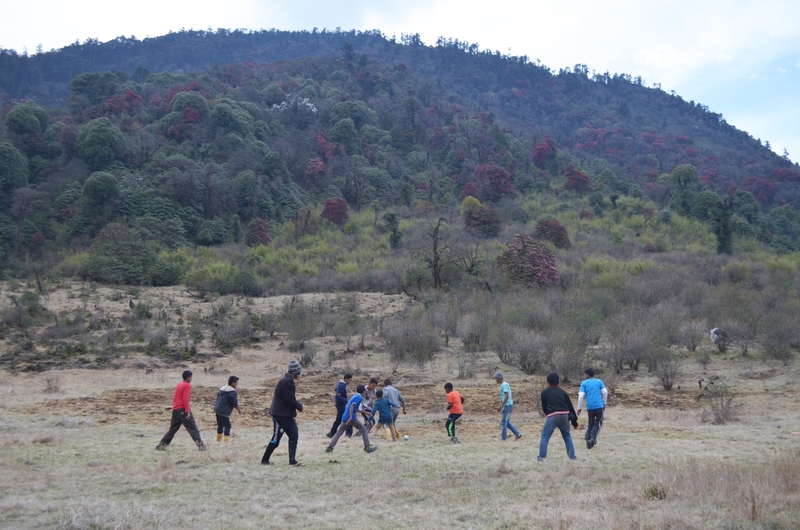 Post lunch was highlight of the trip, football match among all kids and porters at an altitude of 10000ft, this was the coolest game. The ball was made out of the used food wrappers and thread. Porters were very good at their game and all had so much fun. Chandrika pitched in as water girl and cheerleader, way cool. Dinner was awesome, it was a feast- four course meal in the forest, complete with a freshly baked warm cake for the dessert. It was unbelievable and Mahendar (cook) rocks. Day six, I woke up early and took a long walk. Due to the loss of one day to rain, we decided to skip Chittery and headed towards Uttarey (6551 ft). The route was a long descent and oh boy it was tougher than ascent. It was our last day so close to the forests and I savored every moment. We picked strawberries on the way and Sid loved them. By late afternoon we were back to civilization (phone were on), I don’t know if I was Happy or sad about it. Well we set off to Darap a beautiful small village tucked among the hillocks. En route we stopped at Singshore hanging bridge (supposedly second highest in Asia) and Pemagyatse monastery, needed all the blessings we could get. Shiv and Radha greeted us, and offered to well-kept homely cottages and we treated ourselves with the much needed hot shower. People were very soft spoken and friendly. 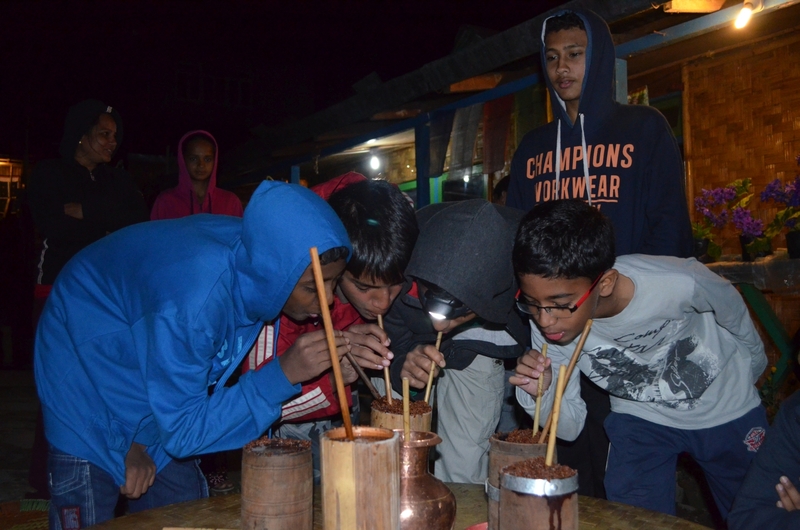 And now it was time for Chhaang! (A local millet beer) just the thing after a hard day. We hit the comfort of warm and soft bed. Day seven, passing among the curvy hilly roads (fairly good) we were at Khecheopalri Lake. Serene amidst the hillocks, famous as ‘Wishing Lake’ (it is believed as the footprint of Goddess Tara and sacred among locals). Well it is tough to make one than said, and I ended up thanking instead. 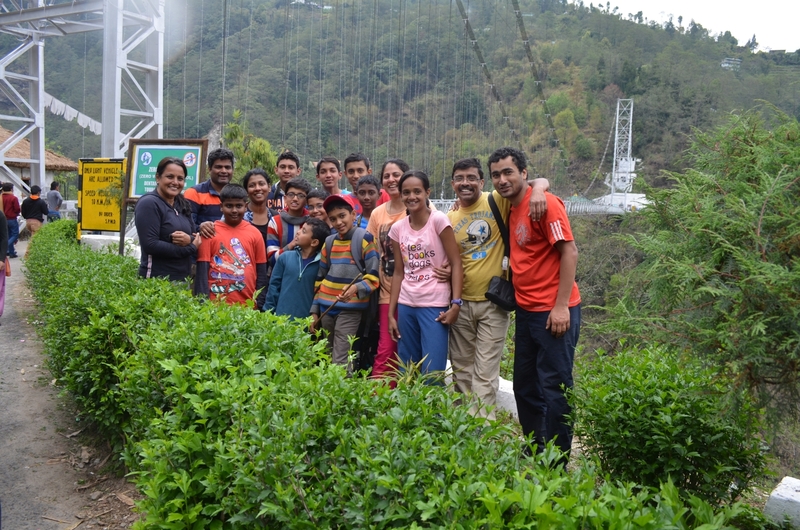 The group had to part, we three stayed back to continue our trip while the team headed to stop at Kalimpong, en route Bagdogra. It was little hard to say goodbyes well this is the start for yet another new experience, so get on with it.